This t shirt printing kit is very high quality and excellent value for money, giving hours of interest and fun whilst learning the basics of screen printing. With this table top, one colour T Shirt press you can print a multitude of various substrates including paper, wood, t shirts, plastics, canvas and much more. 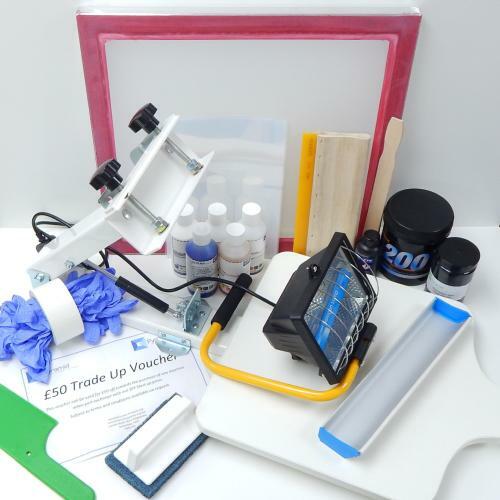 Let your imagination go wild and start screen printing today with this ideal starter kit. Maybe those stag/hen do t shirts, own design T-shirts or even print your own Tote bag designs for you and your friends. Pyramid screen printing kit comes complete with a £50 trade up voucher, so when you've mastered your 1 colour screen printing, we'll happily take back your one colour press that we sold you along with the voucher, which gives you £50 off on your next purchase/kit upgrade to any of the other screen printing presses we sell. ✔ You'll be printing 4 colours and more in no time! 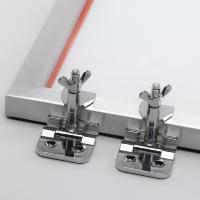 The outstanding quality inside this t shirt screen printing kit is second to none. If you want to print like a pro, then you will with this choice of high quality products. This will last you years. You should also have a look at our Screen Printing Machines if you need further equipment. Product was missing key parts i/e a set up manual, guide for use and pilot holes for drill holes. The product is not as advertised "easy start up kit" and does not tell you on the website what you will need. If you do buy it good luck, I imagine what you get in the box is a.